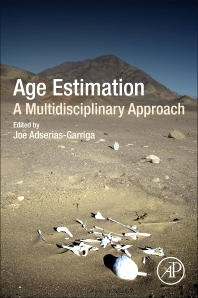 Age Estimation: A Multidisciplinary Approach is the only reference in the field covering all techniques and methods involving age estimation from different perspectives in just one volume. The book provides comprehensive coverage of all aspects of age estimation: aging the living and the dead, human rights, and skeletal, dental, histological and biochemical techniques and methods available. Each chapter is written by internationally known expert contributors. Age Estimation: A Multidisciplinary Approach is a one of a kind resource for those involved in estimating the age of the living and the dead. Dr. Adserias-Garriga is a Forensic Anthropologist, Forensic Odontologist and Oral Surgeon from Spain, where she directed and lectured in different postgraduate programs in Forensic Science. She is an external advisor to Mossos d´Esquadra (Catalonian Police), who honored her contribution in forensic casework. Dr. Adserias-Garriga is currently working as Forensic Anthropologist at Forensic Anthropology Center, Texas State University. She has conducted research collaborations in the U.S. with the Smithsonian Institution, University of Tennessee, Mercyhurst University, and other academic institutions in Europe as well. She is also an ABFO Diplomate, and co-founder of the International Group of Forensic Odontology for Human Rights. She is Member of the INTERPOL DVI Odontology SubWorking Group and the INTERPOL DVI Pathology-Anthropology SubWorking Group.